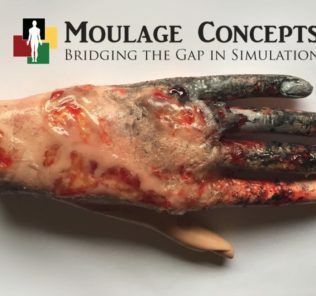 This summer MoulageConcepts.com, an international medical trauma moulage company specializing in nursing, trauma, hospital, mass casualty and pre-hospital moulage training, supply and certification announced the debut of their new SIM-Safe EMS/Nursing moulage product line! Designed for the pre-hospital/simulation suite training scenario, the SIM-Safe series features realistic, non-staining, non-food based make-up, secretions, bodily fluids and three dimensional wounds that can be used to creating authentic training scenarios on both simulators and standardized patients. With focus to detail, all SIM-Safe products visually and tactually replicate natural bodily processes to ensure your moulage meets your training needs. Large 4 oz. containers for multi-scenario options! 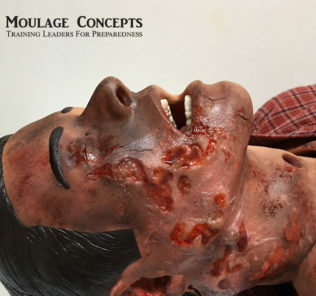 Moulage Concepts, a nationwide company, provides moulage products, training and services to the simulated nursing, military, EMS, field and MCI training sectors. With attention to detail, Moulage Concepts interactive wounds can be triaged, drained, sutured, debided and even ruptured if handled aggressively. With product lines specific to training fields, their customizable line of moulage kits has won them the EMS World Innovation award 2013 for their ability to provide moulage products and training that could be customized to scenario outcomes. Be sure to check out Bobbie’s amazing Medical Moulage Recipe Book and check the schedule of her upcoming training courses to help you create training scenarios that look, feel, sound and smell like the real thing! 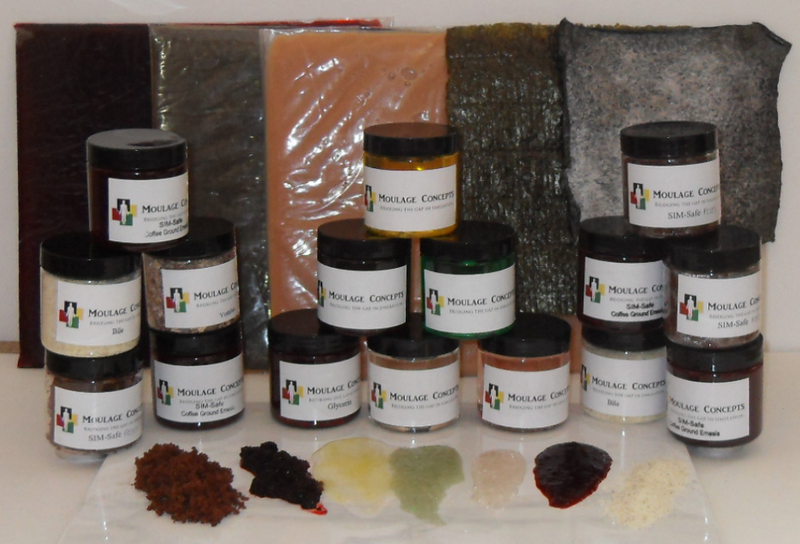 Get your Sim-Safe Moulage Products at MoulageConcepts.com!